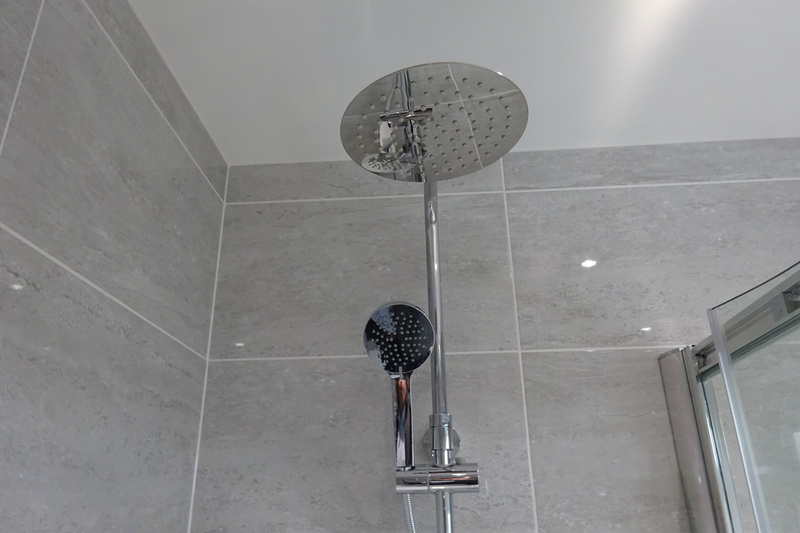 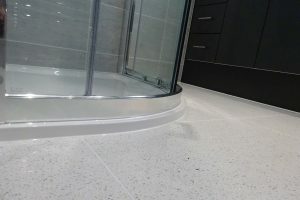 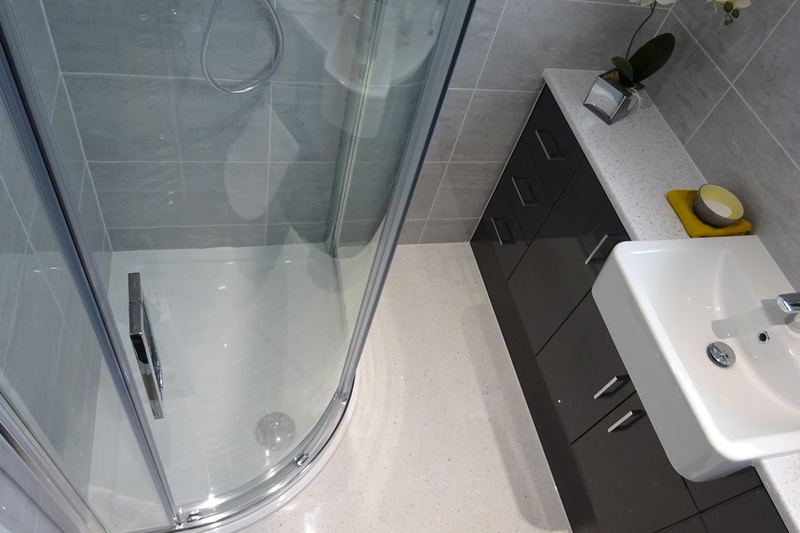 The clients wish list for this bathroom was to carry out a conversion to a shower room. 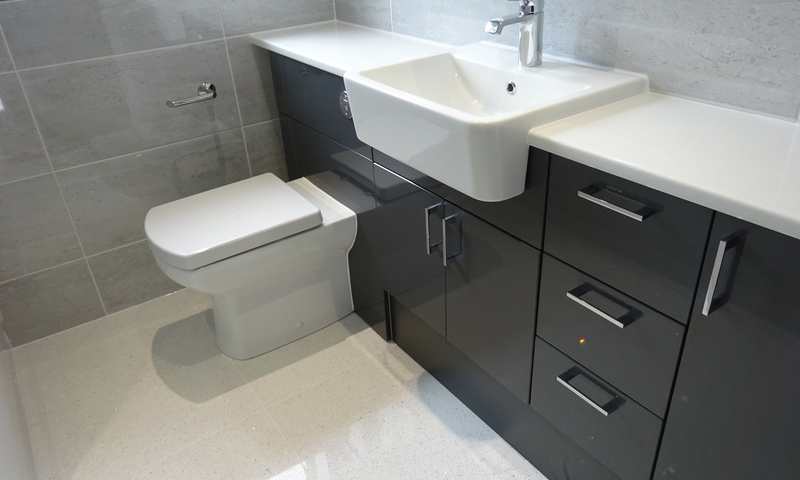 The client wanted a modern finish with built in storage with a worktop running from wall to wall. 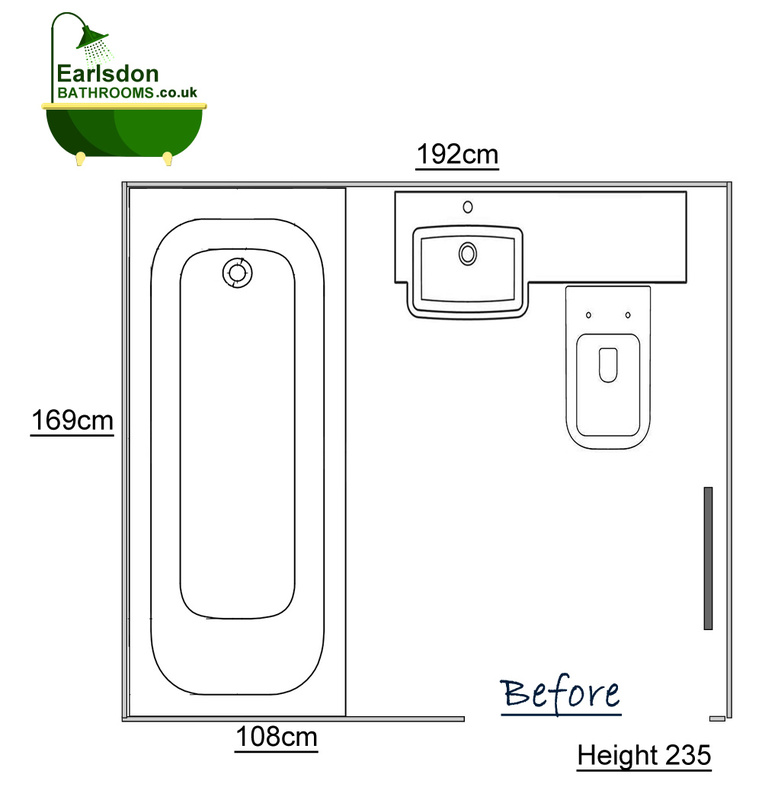 Below is the original bathroom design that was created when the house was originally built. 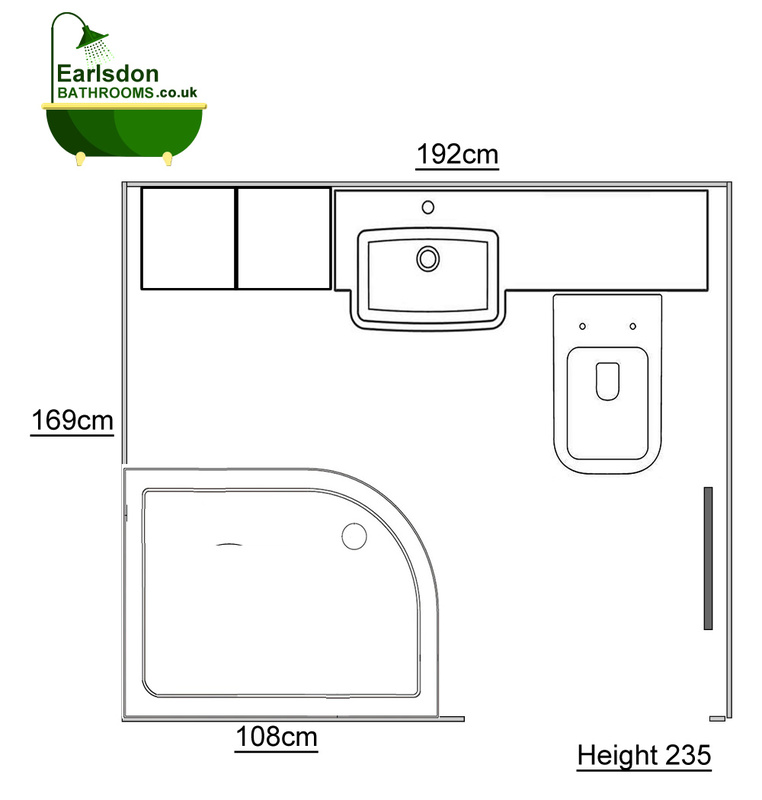 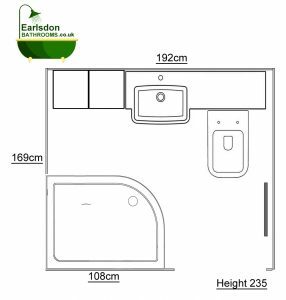 The image below shows the agreed shower room layout. 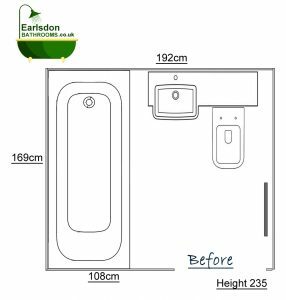 The drawing shows that the shower is 100cm long and 80cm wide. The space between the left hand wall and the door is used for the longer length of the shower tray. This design leaves a greater amount of spacebetween the edge of the shower screen and the back wall of the bathroom. 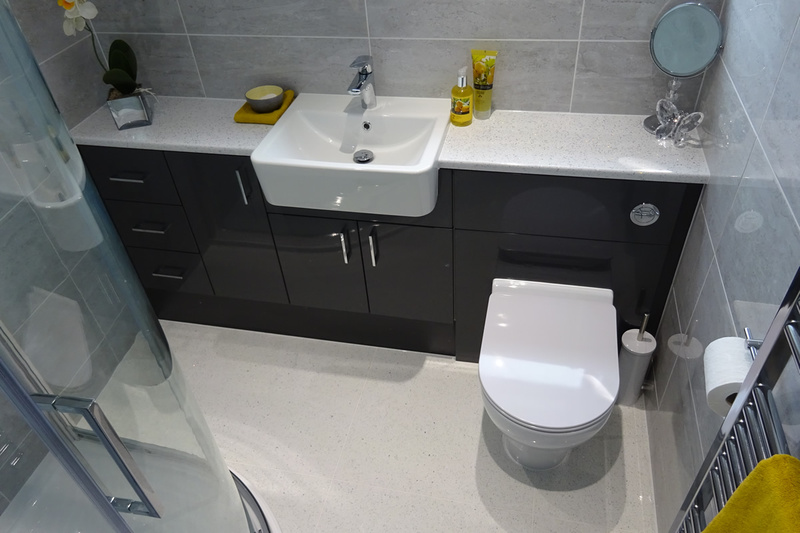 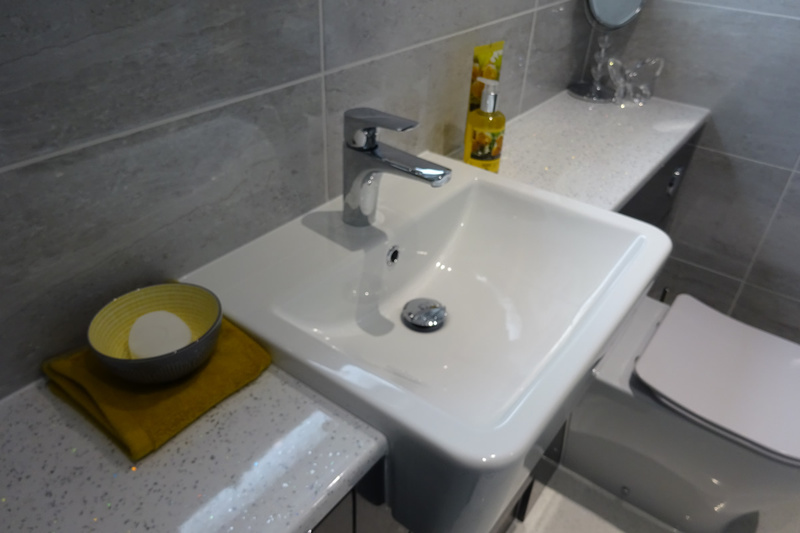 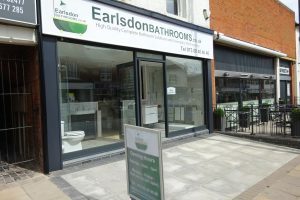 This area is then filled with wall to wall fitted bathroom furniture comprising of toilet unit, basin unit and two 30cm cupboard units.